ZITO is a ZanTours supported project, which literally “happened” when looking for a new spice farm. We had the need to find a farm community, which we could support and develop for a better service quality and experience for our guests. We, as ZanTours put our ideas and needs on the table and in return discussed with the farm community about how it can be achieved. One major point was the cleanliness, replanting and more important relaxed experience of the farm. 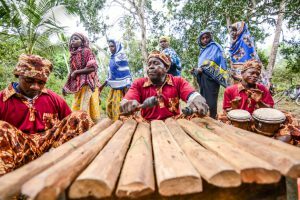 This is when ZanTours management decided, despite the usual market rules in Zanzibar for spice farms – ZanTours will pay an entrance fee per guest to the community. The condition was – this money should be reinvested in the farm to keep it clean and pretty and moreover our guests should not feel harassed to buy spices or products, if not wanted. The result after almost 2 years corporation is, that ZITO reinvested his entrance fee in toilets and farm expansion. 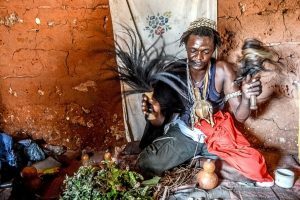 They have built a restaurant with daily fresh cooked Swahili lunch from local Mamas, where they also explain in cooking lessons, the secret of the “Swahili kitchen”. We are very proud and happy with this successful example, where ZanTours could help ZITO’s farm to become the leading Spice Farm in Zanzibar. During our Jeep Tour we take you to UZI island, on which tourism is almost no existing. The beach where we stop on the private coconut tree farm was highly effected by floating trash. Hence we decided to make an agreement with the local community to clean the beach on a regular base against a payment. The reason was our thought of sustainability – to provide the local residents with an additional income while helping to keep our island more clean. The fresh coconuts during this stop are harvested from the owner and paid against a very high price. This serves as a kind of entrance fee. Furthermore, another stop during this tour is a huge baobab tree, where the women do beekeeping. We requested a NGO, which is involved in sustainable bee keeping, to make a research on this specific community. The owner of the honey tree tree is in the meanwhile supported with an “entrance fee” per guest, however the bigger goal is to support a project for the education and training of sustainable bee keeping in this local community. Honey is very important in Zanzibar, because people use it for their herbal medicine. But at this stage, it cannot even be produced in an amount to cover their own usage, and needs to be still imported from Arusha. 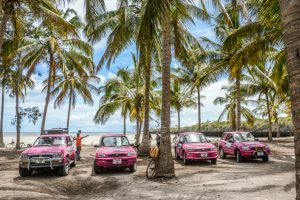 Sarah, who is in love with Zanzibar and its people, created this very unique tour. She believes just like us in sustainability if it comes to tourism. She trained and educated the village Pete to host guests from all over the world. Moreover, she helped them to invite these guests to be part of their daily life. Visitors will experience how Pete people live, work, eat and heal diseases. Guests will literally dive into the real and rural life of Zanzibar and visit also an important cave nearby. 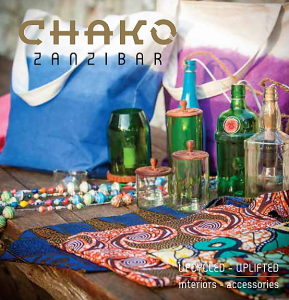 Chako is project, grown tremendously over the last 2 years and has severe impact for our sustainability here in Zanzibar. The idea is to upcycle products in Zanzibar. It not only helps to make our island cleaner but also provides employment for a dozen of people. The original idea was to offer Chako’s products for our tour operator as gifts to their guests. After an interesting tour through their workshop and a talk to their management, we realized ZanTours can do more! Chako’s weakness is the constant supply of glass bottles. And here we stepped in, as if we know something very well, then it is – LOGISTIC! We agreed with Chako to pick up empty glass bottles from hotels on our empty legs back to town. Result – Chako tells ZanTours which hotels have packed empty bottles ready for pick up. ZanTours helps in picking them up on empty legs to town. Thanks to the help on another private entity, ZMMI, Chako has temporary access to more storage facilities. Chako is supported by us with transport and by ZMMI with storage facilities … all for a good cause! I consent to ZanTours collecting my details through this form.